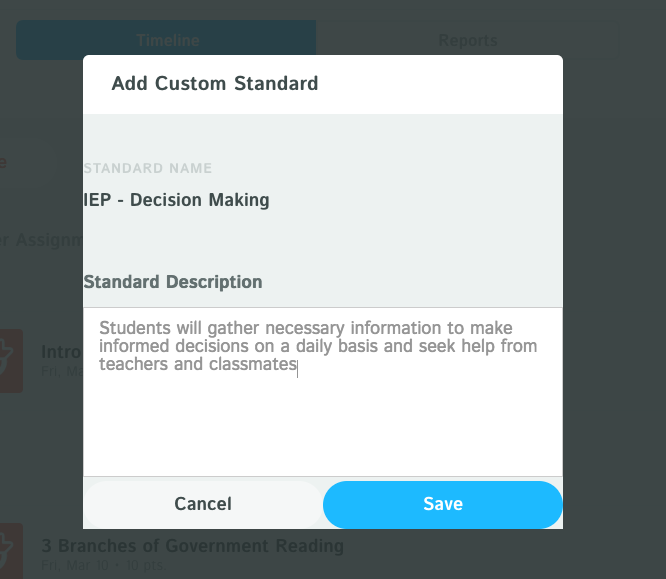 You can create custom standards in Kiddom for each of your students' IEP goals. 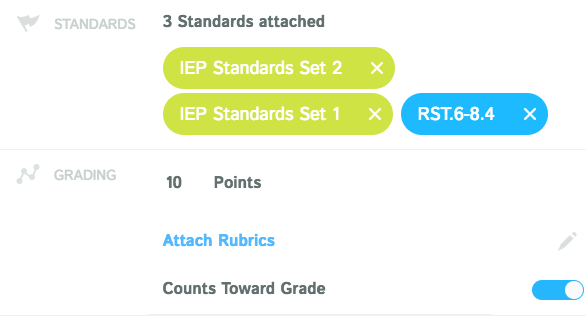 Add titles and descriptions of IEP goals so you can easily track progress in the future. Those standards can be attached to any assignment you're giving your students. To monitor improvement, we suggest using student achievement data from your Kiddom reports to track progress with regards to IEP goals. This is a great way to ensure all stakeholders are informed and held accountable. With Kiddom, you can even print out progress reports for parents, student conferencing, and parent communication. Kiddom's platform also supports social emotional learning with preloaded SEL standards, rubrics, and reports. Read here how SEL can be incorporated to support student developmental progress in addition to academics!